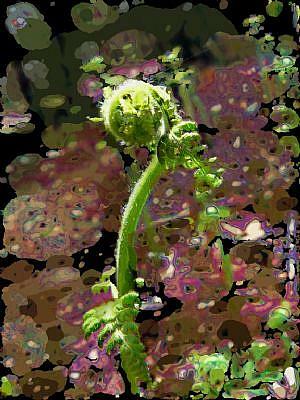 A carpet of fiddleheads sprang up beneath the Japanese maple tree in my back garden and were dispersed in the ground moss. 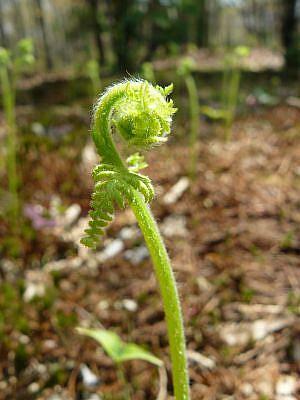 The field of fiddleheads looked like rows of soldiers poised "at the ready". This one "braveheart" was isolated for the show. 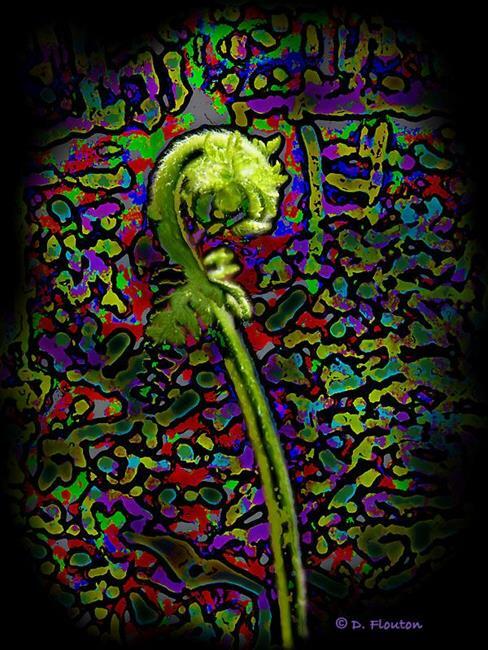 The original photo was processed in Studio Artist to create the multi colored stained glass-like background with some post processing in PS along with minimal cloning of the original. Detail of Image 2 is a different rendtion of the same in Studio Artist.